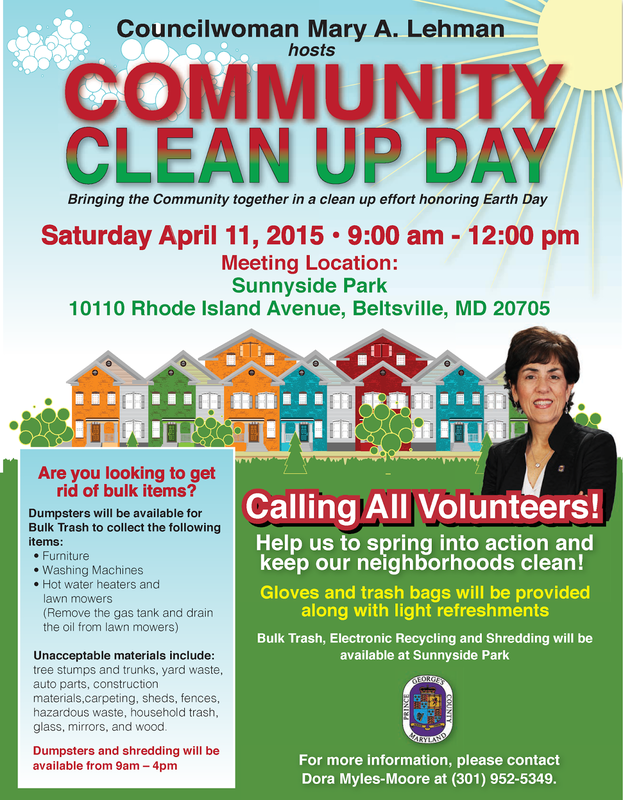 Councilwoman Lehman is hosting a Community Clean up this Saturday, April 11, 2015 at Sunnyside Park 10110 Rhode Island Avenue, Beltsville. Dumpsters for bulk trash and electronic recycling as well as shredding will be available from 9 am – 4pm. We will also be offering service learning hours from 9am –noon for students who are interested in participating in the cleanup. Attached is the flyer for the event. Feel free to contact me with any questions. Please forward the information to your networks.